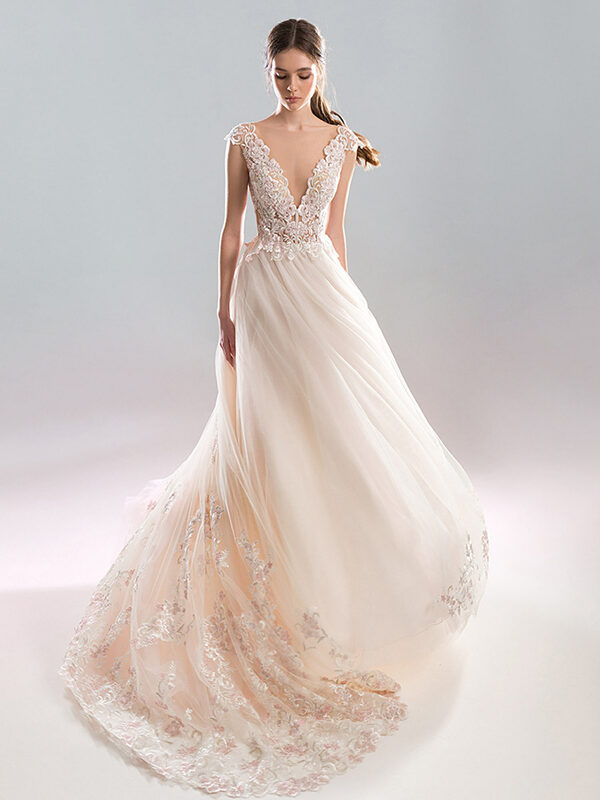 This dramatic gown is made for a majestic wedding, with a deep v neck floral lace bodice this A-line wedding dress features a long train and a lace hemline. The bodice also features cap sleeves and a low open back with sheer cutouts. 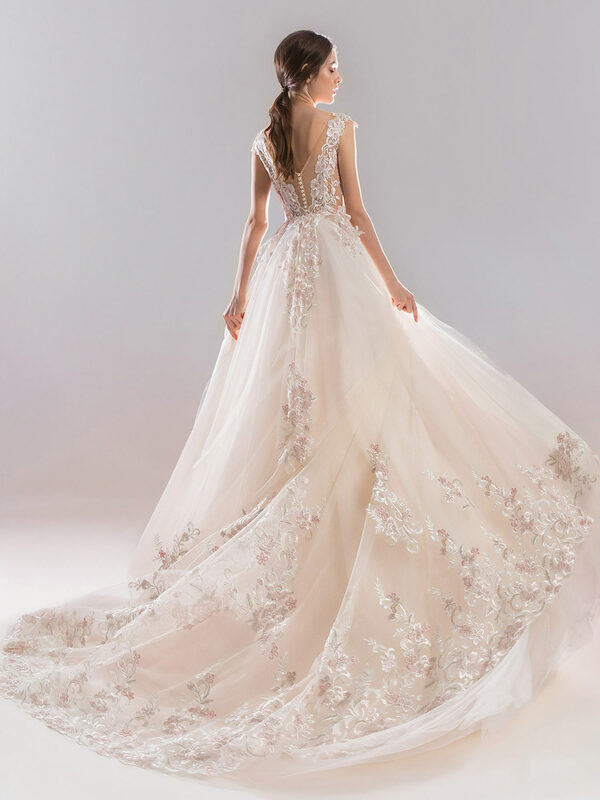 The tulle skirt is elevated by the floral lace appliques.